The impossible was made possible and accomplished. Driving to and from Toronto on two separate trips within three days last week, hurts. 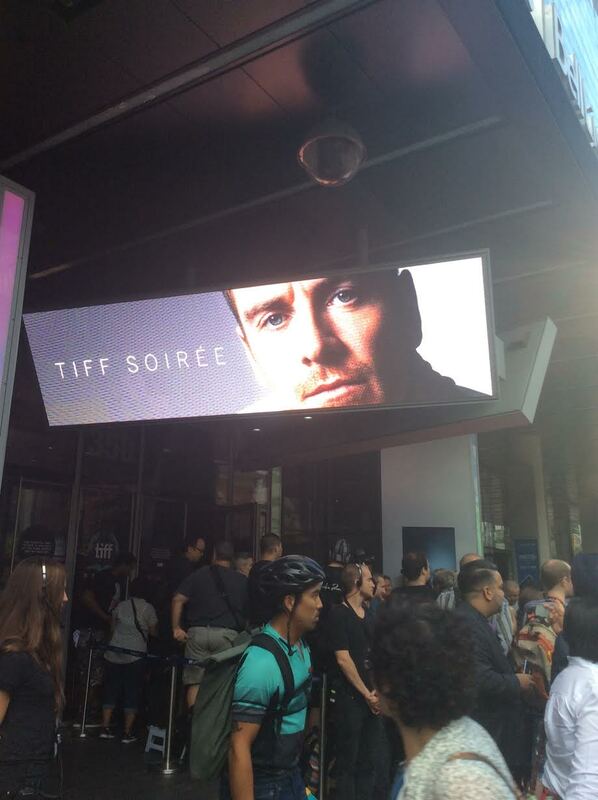 However, I was able to take care of Tiff business on Wednesday for the Michael Fassbender Soiree. I still can't believe I drove there and back inside 24 hours, and made it to work the following morning only 10 minutes late! The Saturday drive was at a different pace. I left home at 4am, arrived in Toronto at 8:30 am. Found downtown parking for $10, and had breakfast at Tim Horton's by 9am. I watched two films, chatted with nice folks while standing in line, ate sushi, and was back in my car at 5:15pm to drive back home. I arrived at 10:46 pm, after I was so hungry and desperate for a quick meal, I went to the McDonald's drive through, the first time in a decade! I took a long hot bath, swallowed three Advil PMs, and slept until 10:30 the following morning. Well rested and caught up on much needed sleep after my TIFF/Toronto adventures. This is the last time I will make such a trek to Toronto. I'm moving to California soon, and the logistical advantage of driving to Toronto will be lost due to this move. I'm going to skip TIFF next year because I need a break from this particular festival. I love TIFF and Toronto, but in the 13 years I have been attending, each year the festival changes. 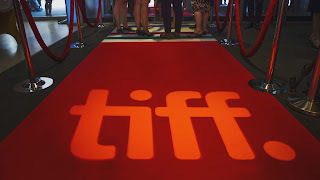 As per my conversations with people standing in line with me, they too feel betrayed by TIFF's relentless pursuit of chasing corporate and studio sponsor money, and their Visa Infinity connection alienates ticket holders/buyers who cannot obtain or desire to have that credit card. If it weren't for the new alignment with Ticketmaster this year, buying tickets would have been pure chaos. I'll post more pictures later, but I also wanted to express my dismay at the circus atmosphere of King Street for the first weekend at TIFF. 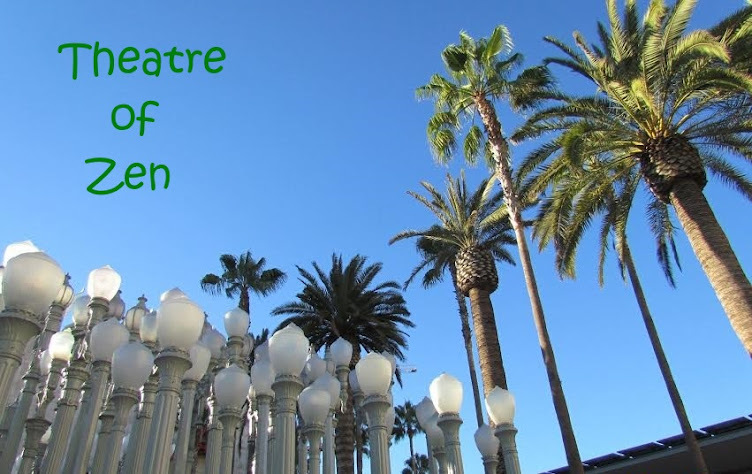 Over half of the people there don't go to the movies, they are there for the free food and trinkets, and selfies with stars and seeking their autographs. I complain about this every year, but it just gets worse and worse as the social media influence persuades the star seekers to only go to TIFF to stalk celebrities. These people aren't interested in said celebrity's films, just their moment in the spotlight of getting that precious selfie with a celebrity who feels obligated because it's all part of the TIFF festival experience. As I move to California, I look forward to attending other festivals that don't have the star struck craziness of TIFF. 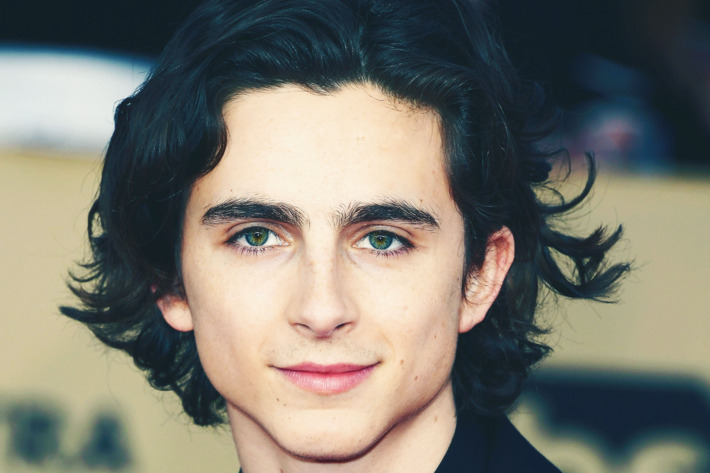 Film Festivals are suppose to be about FILMS and the talent that created them, not fan frenzy that distracts from the festival of people who can't be bothered to actually buy a ticket to the films. Also, at TIFF, there is an unbalanced focus on films that have Oscar potential vs. those that do not. Little attention is made to those that are just made for entertaining, education, and enlightenment. One of the two films I saw is not Oscar caliber, and that's ok, it was the type of film that NEED a film festival to help it find its audience and a film distributor to buy it so that people can see it. Often, it takes many months, perhaps a year or two before a 'non-Oscar bait' festival film gets purchased, only to be released on streaming or obscure art houses and forgotten about. 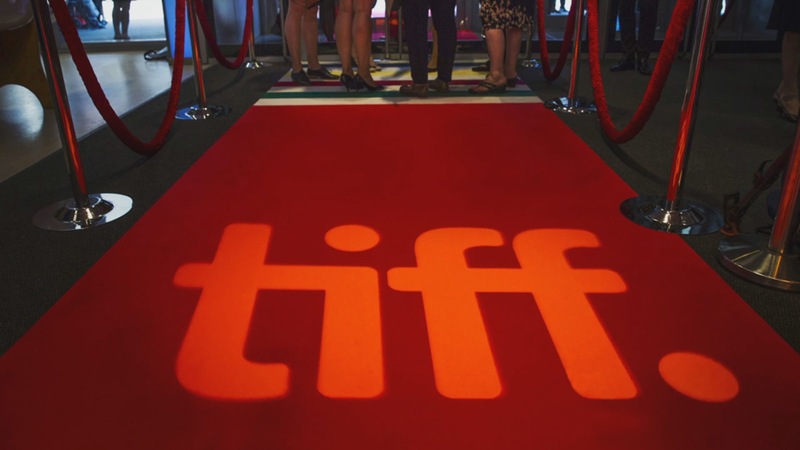 TIFF is about the money and the PR that comes with high profile films that will be blockbusters and get Oscar nominations. And I'm tired of it. So I need a break from it, if for just one year.